The installation Space Embodied, on show from 12 June 2016 in Het Nieuwe Instituut, is about the new, free human as propagated by the Russian avant-garde. Space Embodied is an installation about the body in movement: life-size projections of dancers, a dance floor, stage sets and mirrors confront visitors in a direct and physical way with the historical material from the 1920s. ‘The new human’ was an important theme for many early twentieth-century artists. More than ever before, the human body became the subject of artistic experimentation. Especially in Russia, where the revolution had radically transformed society as a whole - and therefore art as well - the avant-garde focused on the creation of the new, free human. Architects, painters, composers, designers, filmmakers: conventions were broken within all kinds of disciplines. Cooperation between disciplines was part of the new revolutionary art practice. The spirit of revolution also influenced ballet, an art form par excellence that centres on the human body. In the 1920s free dance developed at an unbridled pace. The new choreographies, initially introduced to Russia by the American dancer Isadora Duncan, chose natural movement as an alternative to the academic patterns of classical ballet. The body should be freed from all kinds of social and sexual conventions. 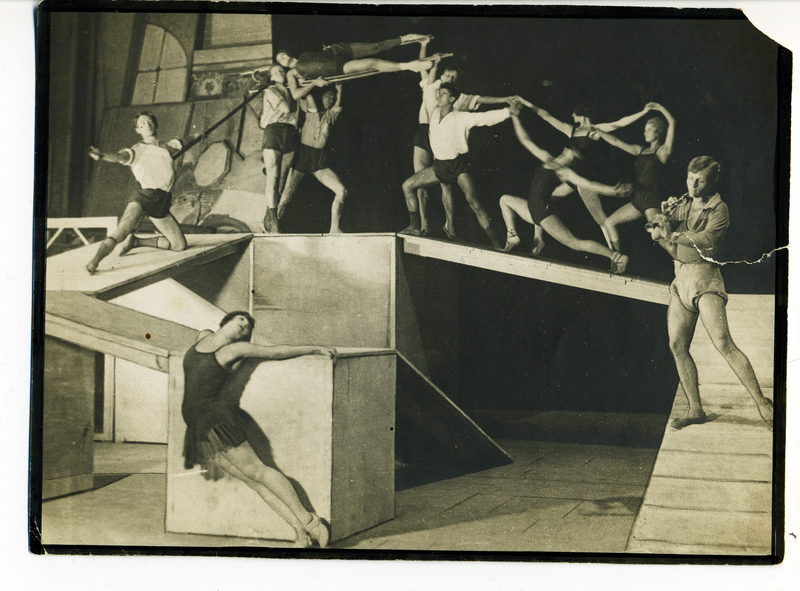 This experimental approach was also reflected in the costumes and sets that transformed the space around the dancers. And thanks to newly developed photographic and cinematographic techniques these exciting innovations of the day can now be recorded. 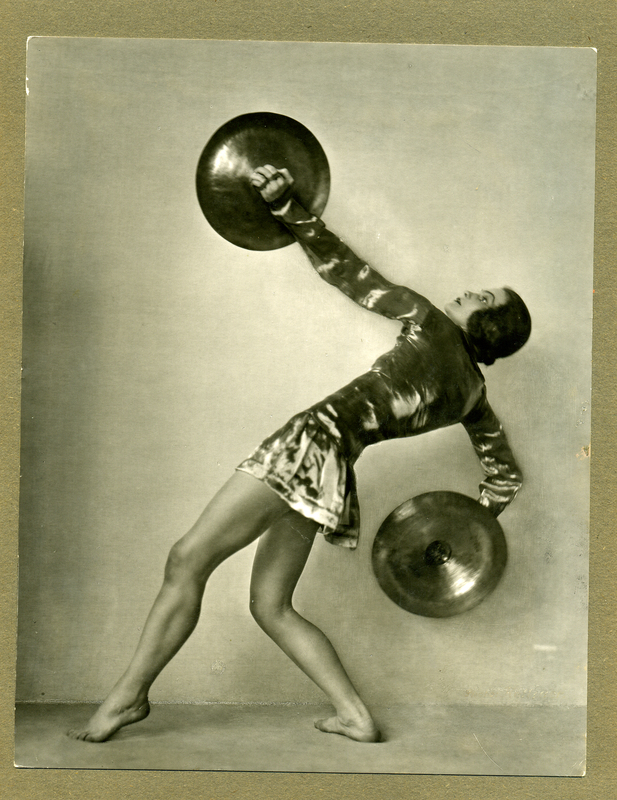 Space Embodied focuses on the legacy of Russian free dance, and especially on its visual language by artists and photographers. Their primary fascination was with the relationship of the dancing body to space, to music and to the politics of revolutionary Russia. However, free dance only flourished briefly. Already in the 1930s, the communist rulers closed most dance studios because they were too ‘formalistic’. That did not prevent Stalin’s regime from later using all sorts of choreographic elements in films and the mass gymnastic displays that characterised this political regime. Graphic designers Experimental Jetset and photographer Johannes Schwartz based their installation Space Embodied on original decors. The images are arranged in three sections (Space, Body and Movement) and show the exceptionally creative collaboration between dancers and photographers, set designers and choreographers. The installation is based on an in-depth examination by Italian art historian Nicoletta Misler. Her book V Natsjale Bilo Telo (‘In the beginning there was the body’) documents the changing view of the human body in Russian art during the period 1900 to 1930. 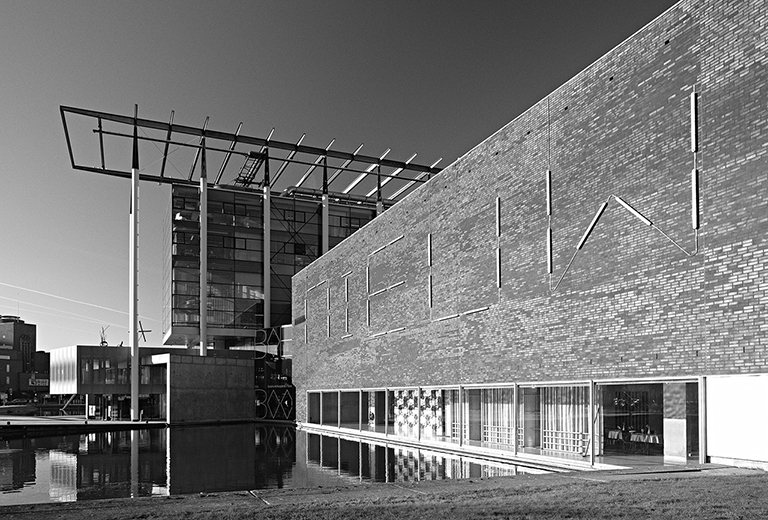 On the occasion of the Olympic Games in Rio de Janeiro, Het Nieuwe Instituut devotes a large part of its 2016 programming to the human body. This focus concerns not only the physical achievements of individual athletes but also the constant surveillance, analysis, and manipulation of crowds of people as a collective body by advanced systems. Technological innovations have created a situation in which the body of the citizen and that of the state, the city and the public realm can be more efficiently moulded according to an ideal image. The body is being designed at all levels, and the media plays a crucial role in recording and propagating these innovations.